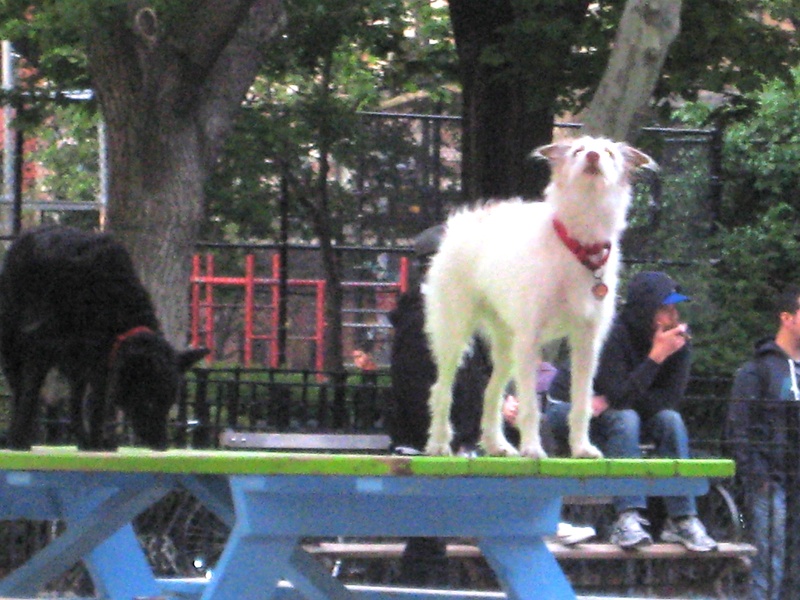 In a city obsessed with dogs, it’s hard to imagine that there were no dog runs in city parks until one was established in 1990 in Tompkins Square Park. Now, dog runs exist in about 60 parks across the five boroughs. At Tompkins Square Park, the amenities aren’t bad. The privately funded “First Run” has a granite sand surface, wading pools, and separate sections for the big dogs and little guys. These two shaggy pups are loving the picnic table—it brings them closer to the squirrels in trees. Tompkins Square Park has a pretty colorful history going back a century and a half.